The saints are not distant, but love and understand us. They are happy and want to help us to be happy with them in Paradise. Pope Francis underscored this in his Angelus Address on All Saints Day, Nov. 1, 2018, to some 15,000 faithful gathered in a rainy St. Peter’s Square. 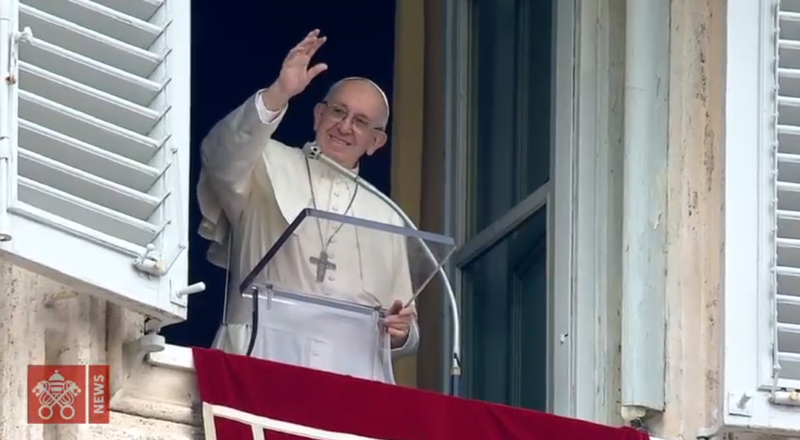 “They understand us, they love us, they know what our true good is; they help us and wait for us..They are happy and want us to be happy with them in Paradise,” Pope Francis stressed. Today, the Pope said, “these brothers and sisters of ours don’t ask us to hear again a beautiful Gospel,” but to put it into practice, to undertake the way of the Beatitudes. “It’s not about doing extraordinary things, but about following every day this way that leads us to Heaven, as a family, at home,” he said.